Anyway, swiftly moving on, let’s take a closer look at how the more successful predictions came to fruition. Your car is now the largest connected piece of technology that you can own. And every single one of the manufacturers displaying their wares focused on the progress they have made in connecting your vehicle to other devices. The major innovation for 2017 was the use of voice activation. 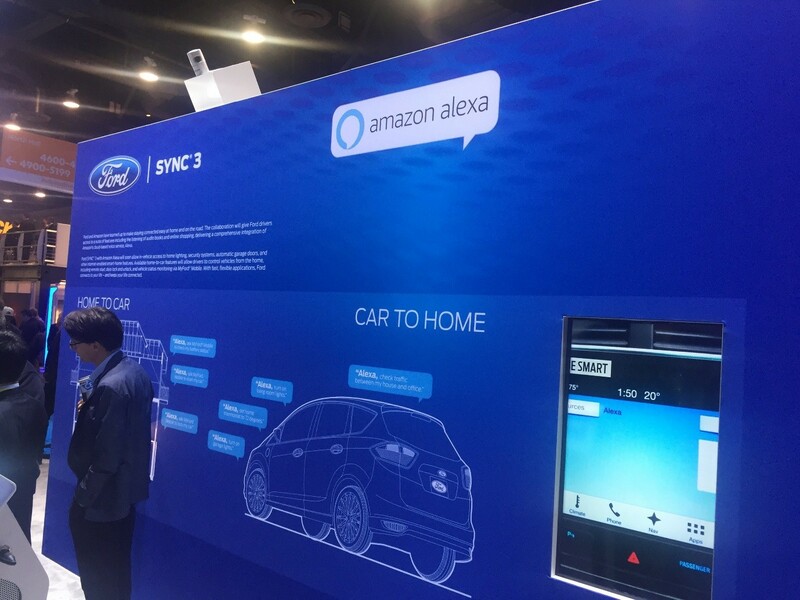 Both Ford and VW announced their respective collaborations with Amazon ‘Alexa’ whilst Nissan talked about their association with Microsoft ‘Cortana’. Talk to your car and it will politely talk back, whilst simultaneously acting upon your every whim at home – switch on your lights, adjust the central heating or even check what’s in your fridge (assuming you have the right connected appliances of course). Alternatively, talk to Alexa at home and control various functions of your car, like turning on the air conditioning or checking how much fuel you have left. And talking of Nissan, I watched the keynote speech by Renault-Nissan CEO, Carlos Ghosn, at the Westgate Pavilion, where he stated that there will be more change in the automotive sector in the next 10 years than there was in the last 50 years. He confidently predicted that by 2030 a quarter of all vehicles on the road will be autonomous (and added that this was a “conservative estimate”). He also talked about their alliance with NASA on developing the revolutionary Seamless Autonomous Mobility (SAM) system. What problem does it solve? Well autonomous systems follow strict road rules (such as, your car can never cross solid road lines) so SAM uses a human interface to offer ‘real time’ solutions to complex ‘real world’ problems that even sophisticated algorithms can’t figure out. 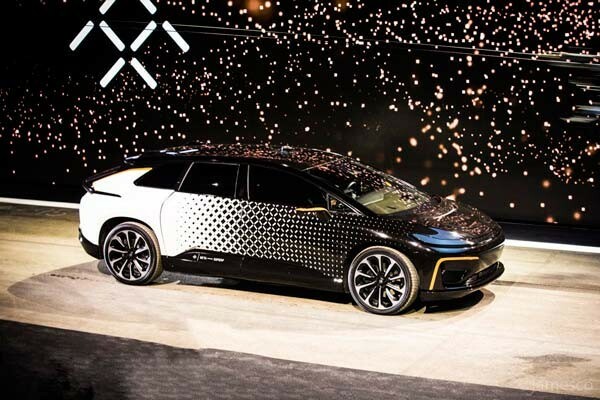 Elsewhere we saw China’s answer to Tesla, Faraday Future, launch its vision of an electric production car (as opposed to the outlandish FFZero1 hypercar concept which it revealed at last year’s CES). The unimaginatively entitled FF91 is fully electric, autonomous and has very cool motorised doors. There are no firm details on when it will be launched or the price but you can put down a $5,000 deposit to get yourself on the list. However, given some of the negative stories circulating about the financial viability of Faraday I won’t be one of them. Can you imagine a TV as thin as a credit card? Well, LG can. And it did: the new LG Signature 4K OLED W series. The W stands for wallpaper and refers to the TV’s new “picture-on-wall” design. Its dual system has the main display underpinned by a Dolby Atmos Soundbar. That very same Soundbar also houses the TV’s primary guts, HDMI inputs and so forth. 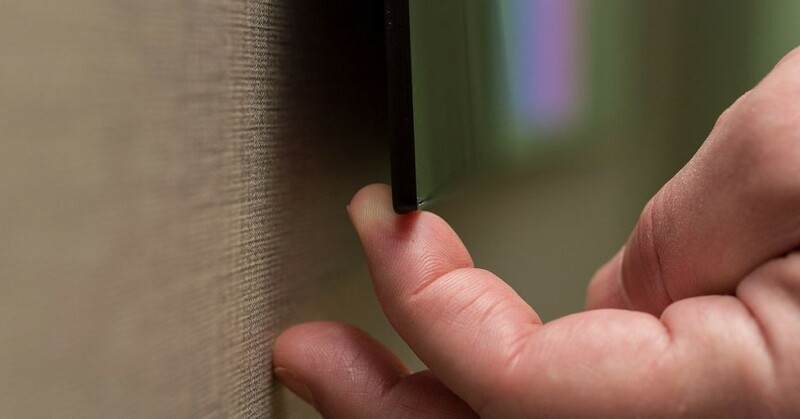 But it’s that screen which is the key feature coming in at a mere 2.57 millimeters thick. Samsung finally demonstrated how far VR has come since the Oculus Rift took CES by storm just a few short years ago. Their five-arena immersive oasis was simply stupendous and one of the real highlights of this year’s show. Want to take a bobsleigh ride, fly shotgun on a stunt plane, throw buildings at a rival robot or even go on a Star Wars X-Fighter mission? No problem, Samsung Gear offered the opportunity to experience them all, and provide a genuine taster as to what immersive entertainment will become over the next few years. Smart home assistants, such as the Amazon Echo or Google Home, became an unexpected Christmas 2016 consumer hit. But given the new kit we saw on display at CES this week, it will make these simple voice activated units obsolete rather swiftly. 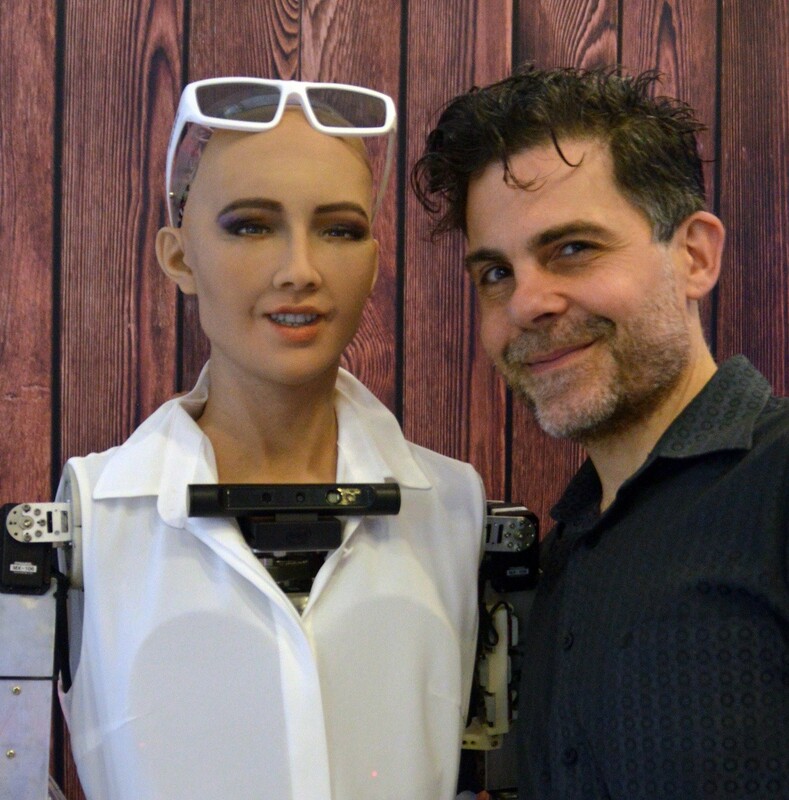 Hong Kong-based Hanson Robotics demonstrated its Sophia Bot late in 2016 and, although it was a huge leap forward in the development of animated expressions/emotional intelligence, it still looked somewhat creepy. Or is it just me? This is the Kickstarter style, off-the-wall, oddball tech that nobody could have predicted apart from the crazy people who invented it. And as usual, there was plenty on display. For starters, what about the Kolibree? It is the world’s first toothbrush with Artificial Intelligence. With the associated app you can gamify your brushing experience (seriously, you cannot make this stuff up) to ensure you clean your teeth properly. Not convinced? Me neither. 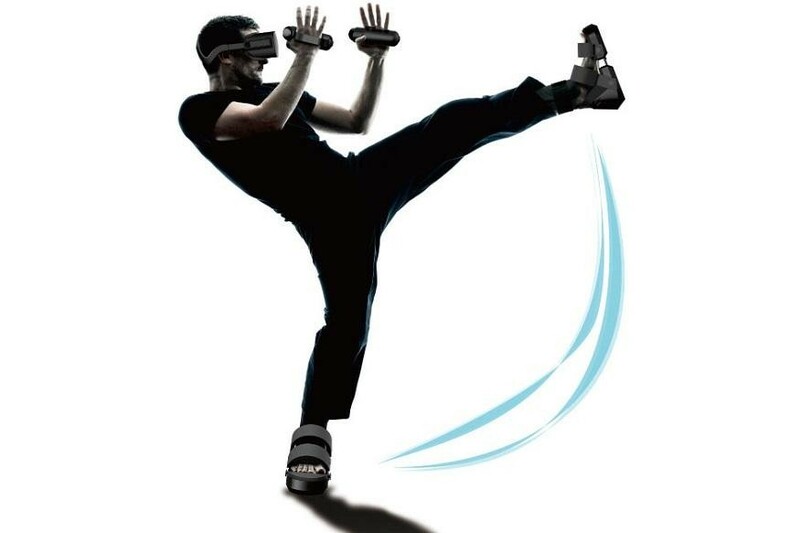 So next up, we have VR shoes from Taclim. The footwear literally allows you to walk in the shoes of your virtual heroes and can simulate a variety of terrains (from sand to snow). They look a bit like Croc sandals so even though the enhanced gameplay might be cool, you certainly won’t look chic whilst wearing them. Talking of cool, what about a levitating speaker system? Well thanks to the Crazybaby Mars you can have your mind officially blown. It looks a bit like an Amazon Alexa, replete with funky blue lights (naturally) and a free floating dome. It’s also not just a gimmick as the sound quality is incredible. Until I saw and heard it, I had no idea that I needed one in my life. So there you have it, another tech fest over for another year. Did CES 2017 live up to expectation? Whoa, did it ever. Leaving Las Vegas. And out.